When will be Streets of Your Town next episode air date? Is Streets of Your Town renewed or cancelled? Where to countdown Streets of Your Town air dates? Is Streets of Your Town worth watching? A two-part series focusing on the aesthetics of our suburbs. 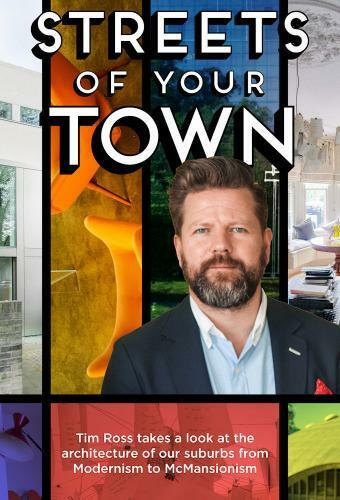 Tim Ross – comedian, broadcaster and aficionado of the Modernist era – is tour guide for this very personal journey exploring how and why our suburbs look the way they do. Travelling the country gaining unprecedented access to some of our most epic homes, meeting their owners, peeling back their history and revelling in their beauty Tim poses the question: from Modernism to McMansionism – how did we get here? Broadcaster, comedian & architecture enthusiast Tim Ross reveals the origins of modernism; a design philosophy that boomed in the mid 20th century as architects rejected ornaments & embraced materials like glass & steel. Streets of Your Town next episode air date provides TVMaze for you. EpisoDate.com is your TV show guide to Countdown Streets of Your Town Episode Air Dates and to stay in touch with Streets of Your Town next episode Air Date and your others favorite TV Shows. Add the shows you like to a "Watchlist" and let the site take it from there.